WOW...SAVE about 60% OFF with this used, fully tested Mercury Capri headlight lift relay / Mercury Capri headlight control module! 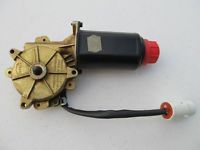 This Mercury Capri Head Lite Lift Control Relay is also referred to as the the Mercury Capri Head Light Control Module. We are selling this fully tested, Mercury Capri Headlight Lift Relay, at about 60% OFF the price of a new unit!! **Our PRICE: $199.98 each plus an additional 100% REFUNDABLE, $50.00, "core" deposit which will be added to the total price at "check-out". This core deposit will promptly be REFUNDED upon receipt of your complete old/broken Mercury Capri Headlight Lift Relay. The customer is responsible for paying all core return shipping costs. This Mercury Capri Headlight Lift Relay is the small grey or black (typically black on 1993 and 1994 models) is located underneath the area where the radio is located below the coin pocket or Pemium Sound cover / "plate" on those Mercury Capris equipped with this Pemium Sound stereo upgrade. 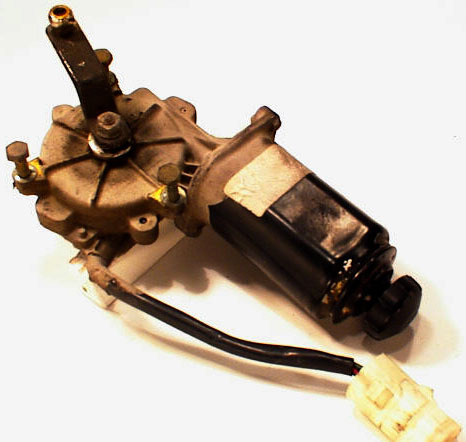 *PLEASE NOTE: This Mercury Capri Headlight Lift Relay / headlight control module is no longer available through Ford. 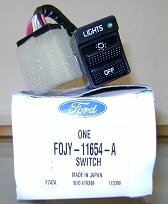 However, we do sell them brand new & still in the Ford box (please see item: "LIT-049"). As per our stated/published store policies, there are no warranties, or guaranties whatsoever, and ABSOLUTELY NO returns accepted on all electrical components. All sales are " as is" & final.